Read a range of great cell phone facts and mobile phone information. Find out more about interesting iPhone apps and enjoy the fun tech info for kids. What kind of features do modern cell phones have and how do we use them to improve our lives? Find out the answer to this and many more mobile phone related questions you may have. Modern cell phones are capable of much more than just sending and receiving phone calls. Mobile phones used in today’s world allow users to send and receive text messages, emails, photos and video as well as access the Internet, play games, listen to music, use GPS (Global Positioning Systems) and more. The cell phone has become an important communication tool that is used by people all over the world to keep in contact with each other at any time. Although they started off as quite bulky devices they are now very sleek, small and portable, comfortably fitting in a users pocket and surviving for hours on end thanks to a rechargeable battery. Cell phone designs are constantly evolving to incorporate the new needs and desires of users. Some of these new functions include space for memory cards, flip screens, cameras, touch screens, USB ports etc. Modern mobile phones also have wireless capability in the form of infrared, Bluetooth and other wireless protocols. 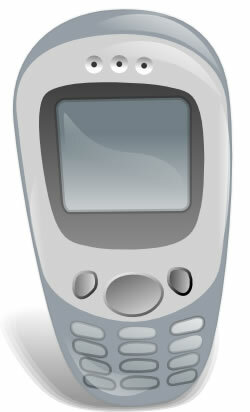 Some of the larger manufacturers of cell phones include Nokia, Samsung, Motorola, Sony Ericsson and Apple. Applications that cell phone owners can take advantage of include word processing, calendars, mobile banking, web surfing, alarms, memos, video streaming, games and much more. Applications have exploded in popularity in recent times thank to the iPhone App Store which allows iPhone users the ability to download a wide variety of third party apps. Despite all the positive benefits of cell phones, there are also some negative side effects which include the dangers of cell phones being used while driving, cell phones being used for harassment and students cheating on tests by using their cell phone to access information. Cell phones are often banned in classrooms or other school locations due to the distractions they can cause.